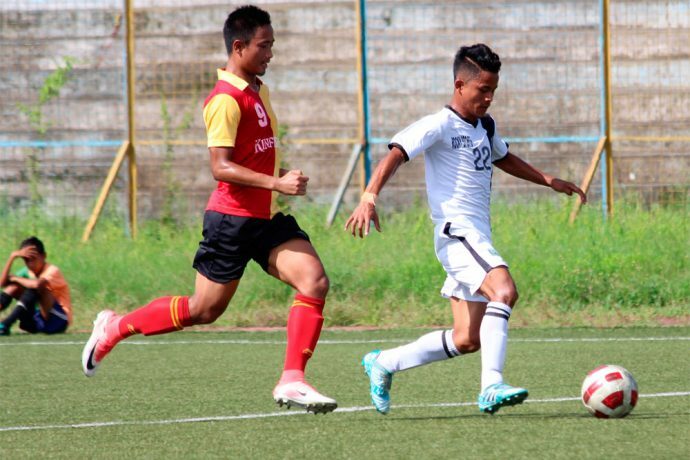 Mohammedan Sporting Club finished their campaign in the ongoing 122nd U-19 IFA Shield with a 4-0 loss against East Bengal on Wednesday at Barasat Stadium. A brace from Lalchhanhima (16′ & 64′) along with goals from Subhanil Ghosh (42′) and Lalruatkima Silvana (90+2′) saw East Bengal finished their Group A campaign with 9 points from 3 matches while Mohammedan SC finished on the bottom of the table with a lone point. The first real chance of the match fell to East Bengal in the 7th minute as Indrajit Sanyal made a great to deny Lalchhanhima, who had received a pass from Jhantu Prasad from a corner kick. Four minutes later Indrajit pulled off another superb save, this time to deny Lalruatkima’s right-footed effort from inside the box. However despite his best efforts Indrajit could not hold East Bengal off forever and as the clock headed into the 16th minute mark Lalchhanhima slotted from the spot to give his side the lead. Mohammedan Sporting Club had their best chance of the first stanza as Suraj Munshi rounded East Bengal keeper Sourav Oraon, but skipper Asif Hussain were unlucky to watch his shot cleared off the line by Gurmukh Singh. While Mohammedan SC continued pushing forward, Ujjal Bag almost gave them the equalizer in the 38th minute but his spectacular shot from edge of the box flew over the bar. Meanwhile, at the other end, East Bengal doubled their lead though Subhanil, who unleashed a rocket past Indrajit in the 42nd minute. Mohammedan SC had a good start to the second-half and created a couple of chances early on but once again it was the finishing that was lacking. East Bengal, meanwhile, added their third when a mistake from the Mohammedan SC defense saw Lalchhanhima benefit; he was left unmarked and unleashed a thunderous left-footed shot into the roof of the net. Thereafter, Mohammedan Sporting Club threw everything they had at East Bengal defense but the Red and Golds refused to submit and ended up adding a fourth through Lalruatkima in the added time.